NASHVILLE, Tenn. – Middle Tennessee’s Drew Huff and King University’s Grant Boyd were named the Baseball Player and Pitcher of the Week, respectively, by the Tennessee Sports Writers Association on Tuesday for their performances for games March 26-April 1. Huff batted .500 (10-for-20) with two doubles, one home run, 11 RBIs and four runs scored in four games for the Blue Raiders. The Murfreesboro, Tenn., native posted a career day at Belmont, going 4-for-7 with a triple, one home run, three runs scored and a school single-game record nine RBIs. He hit a grand slam and drove in two runs with a triple and added an RBI groundout and a two-run single in the contest. The junior infielder singled, drove in a run and scored once in the first contest of a three-game series at Old Dominion. Huff collected two hits with a double in the second outing and was 3-for-5 with a double in the final game against the Monarchs. He is batting .272 with two doubles, one home run, 20 RBIs and 13 runs scored in 26 games this season. Boyd allowed one earned run with 14 strikeouts in 10.2 innings over two outings for the Tornado. The senior righthander worked 1.2 scoreless innings of relief, striking out four against Mars Hill University. The Chesterfield, Va., native tossed a complete game in the series finale versus Limestone University, scattering 10 hits while giving up one earned run in a 4-2 victory. He walked four and struck out 10, upping his mark to 5-2 with a 2.87 ERA in 11 appearances over 53.1 innings, allowing 42 hits with 56 strikeouts. Opponents are batting .215 against him this season. 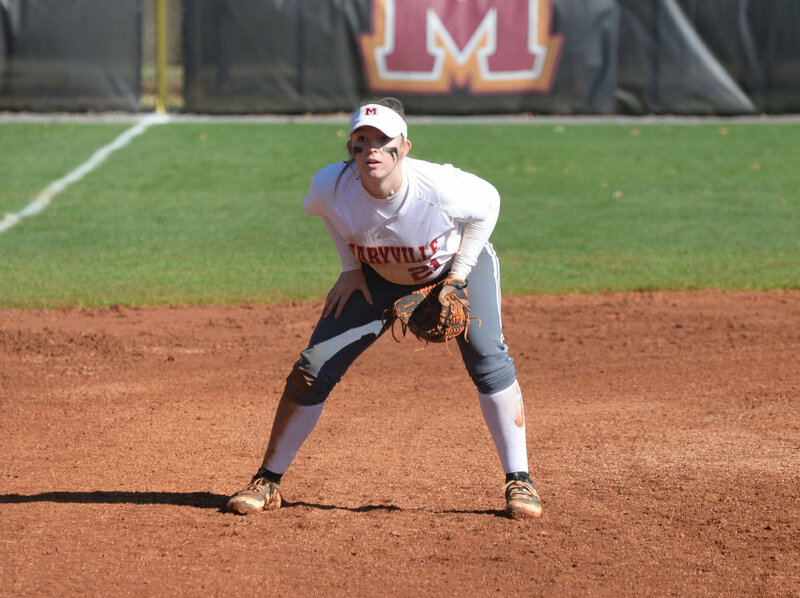 NASHVILLE, Tenn. – Maryville College’s Morgan Brewer and Trevecca University’s Savannah Carr were named the Softball Player and Pitcher of the Week, respectively, by the Tennessee Sports Writers Association on Tuesday for their performances for games March 26-April 1. Brewer batted .583 (14-for-24) in six games for the Scots with five doubles, one home run, nine RBIs and nine runs scored, helping Maryville win 4-of-6 contests in conference play. The Maryville, Tenn., native posted three hits with a two-run homer and two runs scored in the first of two games at Piedmont College. She posted a single one RBI and a run scored in the second contest against the Lions. The sophomore infielder collected three hits with a double and two runs scored in the first game of a doubleheader versus Huntingdon College and added a double and a run scored in the second contest against the Hawks. Brewer finished the week with a pair of three-hit outings versus Agnes Scott, going 3-for-5 with a double, a triple, two RBIs and two runs scored in the first contest. She was 3-for-4 with two doubles, four RBIs and a run scored in the second game against the Scotties. She is batting .393 with 11 doubles, 30 RBIs and 42 runs scored in 35 contests this season. Carr collected four victories in the circle for the Trojans, allowing one run on 11 hits over 17.0 innings of work. The Springfield, Tenn., native worked two shutout frames in relief versus Kentucky Wesleyan to post her first win of the week. The junior righthander gave up one run on five hits in five innings in a 4-1 victory over Lake Erie College and got the win in the second game as well with three shutout innings of relief. She finished the week with a three-hit, complete-game shutout against Ursuline College. She got 34 ground ball outs in her 17.0 innings of work for the week. Carr improved to 9-1 on the season with a 1.39 ERA in 14 contests covering 50.1 innings, allowing 39 hits with 28 strikeouts.